At the moment I am lucky enough to be using a room with a view of Hoad at the Lanternhouse in Ulverston, to escape for peace and writing time. It is my very luxurious equivalent of one these amazing writers sheds described in the landlibrary blog. I have been working through my backlog of work recently and it has been an absolute haven. No shot of the view yet but I think I shall just for the record. For the moment though, I saw this rather uncomfortable stone bothy in Gibraltar looking out over the straights which might do the trick. Hope its got a big window looking out over the sea. 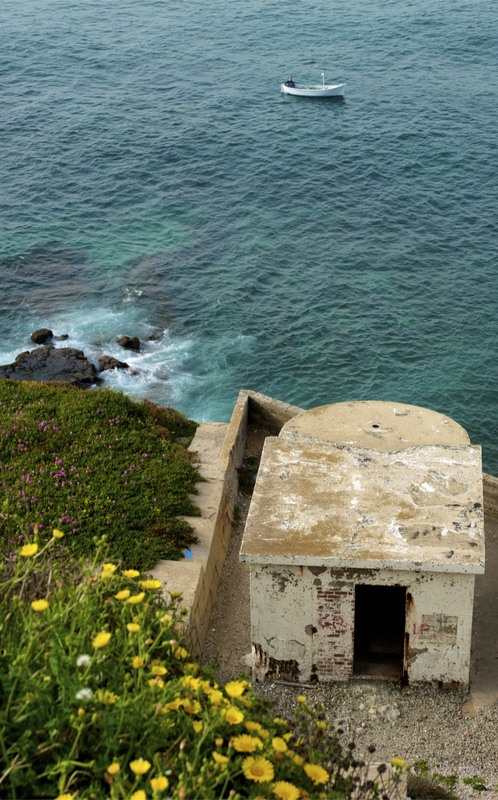 For the less romantic – its probably really got a gun emplacement in it. We love it — thanks so much!